We are happy to go along with any idea. It would be bloody cold up there now though. Thats the best time up there .Fogged in with an open fire . @gus wrote: Thats the best time up there .Fogged in with an open fire . And a nice bottle of somethin' warmin'. Any room for 'newbies'? I'm on annual leave from 01/07 until 25/07 the last week of that i'm thinking of riding up to Mackay again. @Sunshine Coast Mikey wrote: Any room for 'newbies'? I'm on annual leave from 01/07 until 25/07 the last week of that i'm thinking of riding up to Mackay again. Of course yes. The more the merrier. Hopefully we will get some fine dry weather again soon. 2011 GSF1250 naked, gleam grey, no ABS, Ventura rack & 47L Mistral bag, Rad guard, HID headlight, Yoshi R77 CF, K&N air filter. 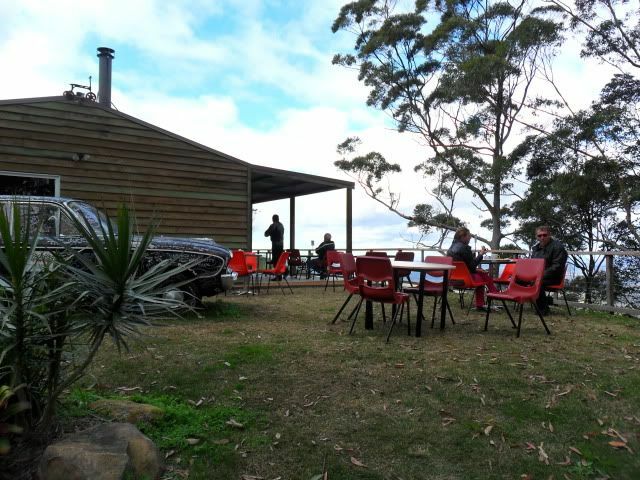 The above photos are of the pit stop cafe at Mt Mee. 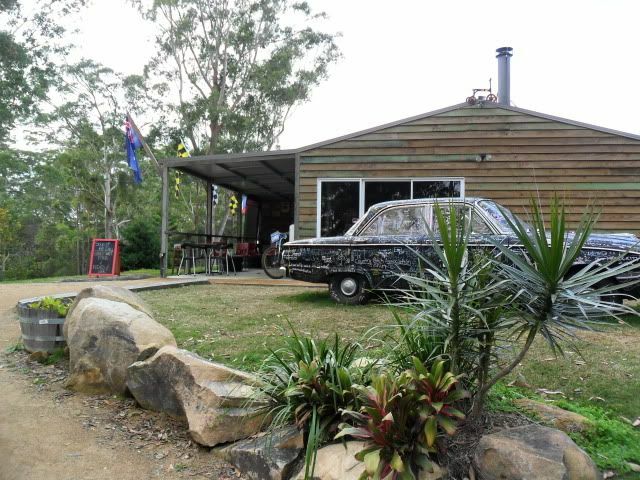 We rode from Caboolture - north (back roads) to Beerburrum, Glasshouse, Landsborough, Maleny, then left to Woodford. Came out on the Beerwah-Kilcoy road - right to woodford. 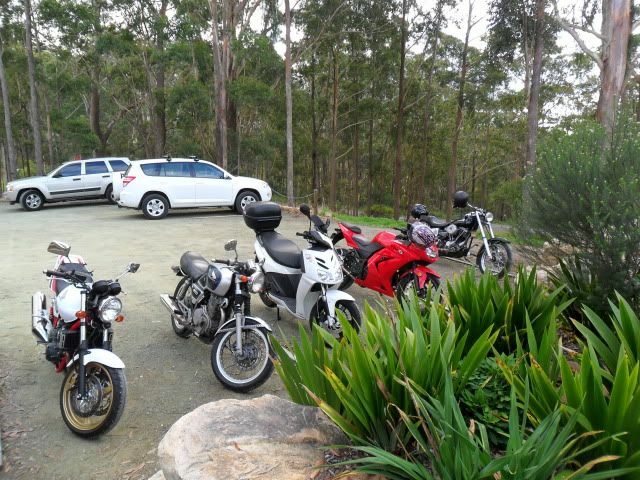 Then Dag pub for a piss stop & Mt Mee for coffee at the Pit Stop Cafe. Approx 160km's Cab to Cab. I reckon it's the cold & wet weather that has slowed the enthusiam of this thread. Someone put the mockers on. Went for a ride yesterday with the missus. She was ok, it was me that felt the cold. When the sun was out, it was good. Have ordered her a leather jacket, so I'd say once it arrives & she is satisfield with it, she will be chomping at the bit for another ride. Couldn't agree with you more about the weather being a HUGE factor. Hopefully only about another 6 weeks and we should see a big improvement in things. I will be definately pushing for more group rides then. Mum & I rode Dag hwy to Dayboro then Petrie, Griffin, Dohles Rocks & home up the hwy - last Sunday. A little cool in the shaded parts. Looking forward to the next Bne Nth ride. Like to see some after market exhausts on the Bandit. Mum'll have her new riding gear by then. Well lets do this then people! I posted info about a ride a few weeks ago & no-one even commented so I removed it, anyone interested??!!??!!?? im intereseted. What do you have in mind? The best day for me at this stage would be Sunday 16th of September. Depends on who else is interested as to where we will go, I am based in Brisbane but from Memory you are up Gympie way?? If you can get any more Northerners together we should start from up north somewhere but is the majority are going to be from Gold Coast etc then we should probably start further south. If anyone reads this & is interested in a group ride on Sunday 16th September please post your interest & state where you are & we will arrange something!! I could be in for this, will wait to see details. I'm also northside Brisbane.